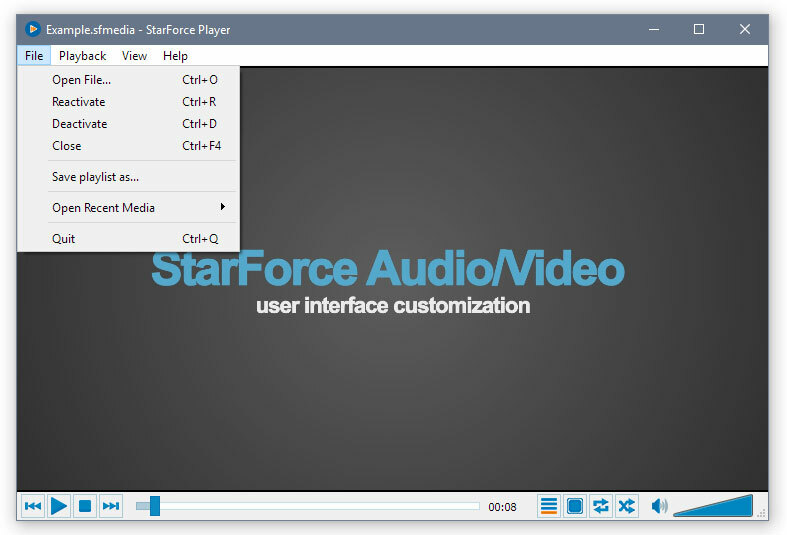 StarForce Player - App to play protected audio and video files. Free application to open sfmedia and sfm3u files protected against copying and piracy with the SFContent.com online service. To start playback, in addition to this application downloading, you need to activate access via the Internet using a serial number provided by the publisher. 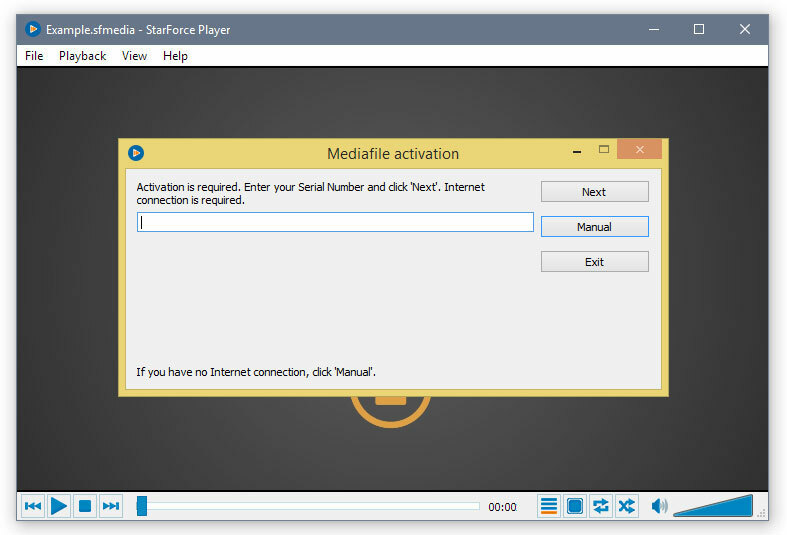 StarForce Player also allows to play usual video and audio files. 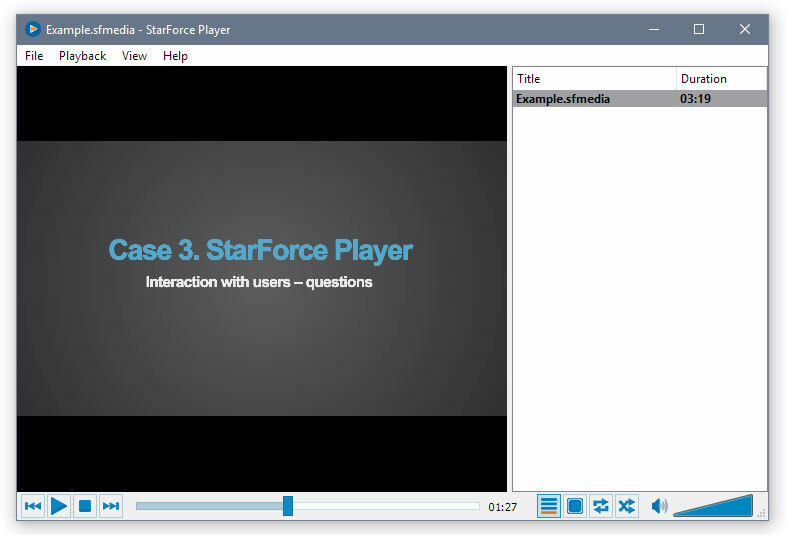 1 Download and install StarForce Player as a usual program (administrator privileges are required on a Window-based computer). 2 Run a playlist, an sfm3y file, from the file folder received from the publisher. If there is no such a file, then run an sfmedia file. 3 In the pop-up window enter the serial number provided by the publisher and follow the activation procedure. It just takes a few seconds. 4 The application starts playing the file. 'Pause', 'Stop', 'Jump to another track', 'Full-screen viewing' and other buttons are available. Read more about how to work with protected videos in this article. A friendly interface, familiar to every user, is designed specifically for intuitive use of the program and easy access to viewing materials. All-in-one. 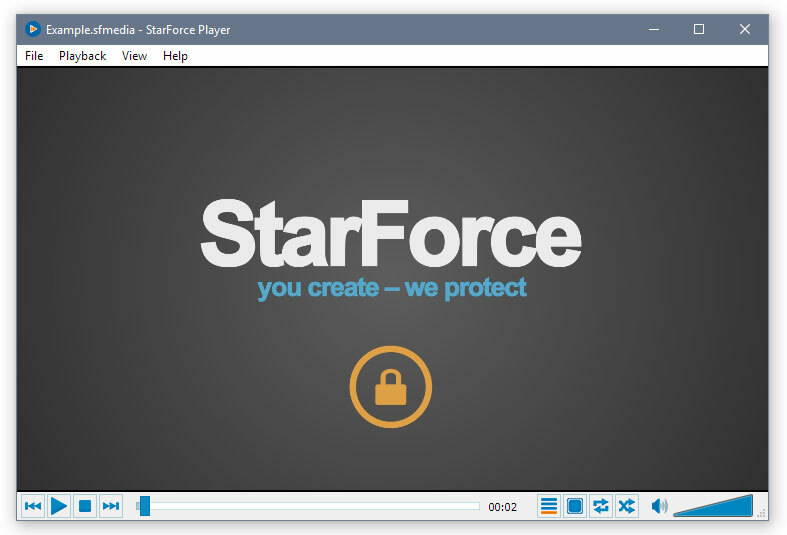 StarForce Player can play not only protected, but also ordinary video and audio files that makes it multifunctional and allows to have only one app on the user's personal computer. Protection against screen capturing for protected materials. Popular video and audio formats support.